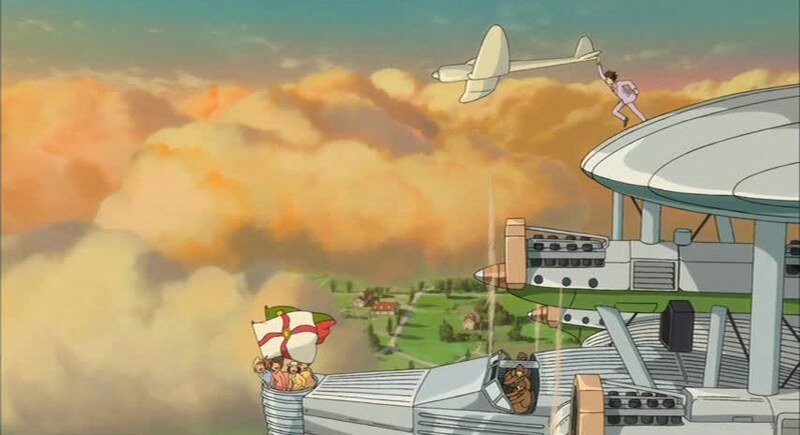 A look at some of Hayao Miyazaki's central themes connected to his films. Throughout my life, I’ve had a huge passion for animation that started with Studio Ghibli’s Hayao Miyazaki. Miyazaki retired recently in 2013 after his final film The Wind Rises. So naturally, I took it upon myself to watch all of his films this past month; this only strengthened my love and admiration for his work. With his departure, he left a significant mark on animation and the way we teach children through media as a whole. Miyazaki created profound messages centered in environmentalism and pacifism that only enriched the viewing experience for not only children but the expanding audience he gained throughout his life. Nausicaä of the Valley of the Wind (1984) is easily one of Hayao Miyazaki’s greatest epics. This film is set in a post-apocalyptic wasteland, ravaged and turned to ash by humanity’s greed and war. Nausicaä is the title character, a princess of the last area of livable land thanks to the natural resources the wind and rivers provide. Once neighboring kingdoms discover her home and its resources, she has to find a solution to prevent the ruin or her country. The film itself focuses on Nausicaä trying to find an alternate route to improving the earth. She fights against all the odds to make it clear that there’s another way to save the planet, one that helps the earth heal from its poisons. 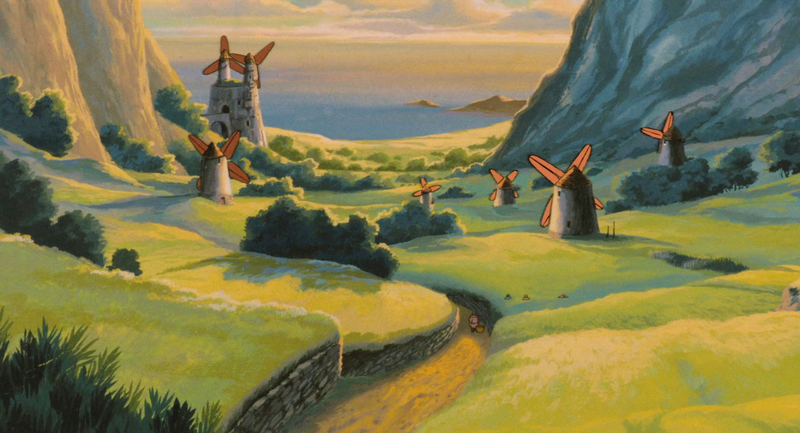 This film centers in Miyazaki’s feelings about pollution, and the damage it hence causes to the earth; the destruction via fire and poison alludes to nuclear war, as well. 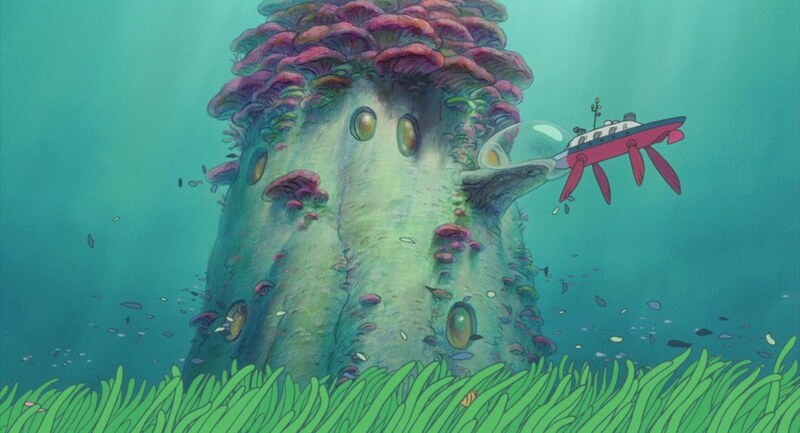 After the film’s release, Miyazaki continued with this trend of promoting environmentalism, or even just the presence of nature as a center in his creations. Princess Mononoke (1997) features a war between nature versus industrialism and serves to be an important lesson on cherishing and respecting the environment; if there’s too much industry the world can become imbalanced. Spirited Away (2001), features an encounter with a Stink Spirit, which turned out to be a River Spirit with a lost identity caused by pollution; Miyazaki mentioned in an interview that the spirit represented a polluted river in his hometown he helped clean. Ponyo (2008) frequently shows trash and debris in areas where the main character, Ponyo, is swimming in when she first encounters humans. Her father also talks about the greed of man and how they’re dangerous for Ponyo. 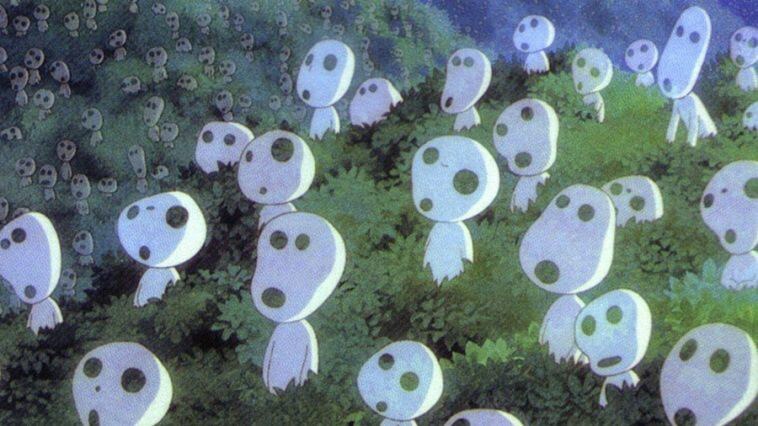 Princess Mononoke is also a hallmark into Hayao Miyazaki’s feelings of not only environmentalism but pacifism as well. The film is set up expecting the protagonist to choose a side, but it isn’t so simple as just picking one group over the other. Both characters that are seemingly villains on either side of the conflict turn out to be loved and care for by the people they look after. 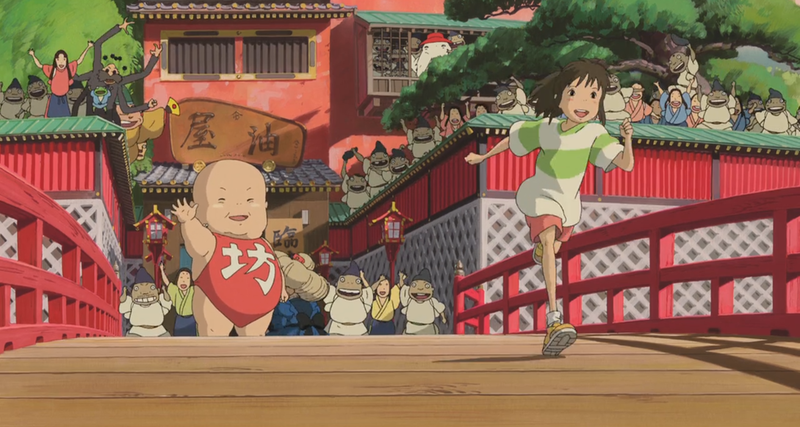 Another example is Spirited Away, where all of the characters have a motivation or something they care for, like Yubaba, the witch in charge of the bathhouse, and her baby. Miyazaki pushes characters to have a hidden side to them, a trait that makes them human to the audience, and to find a way for all parties to be happy without having to pick between two sides. 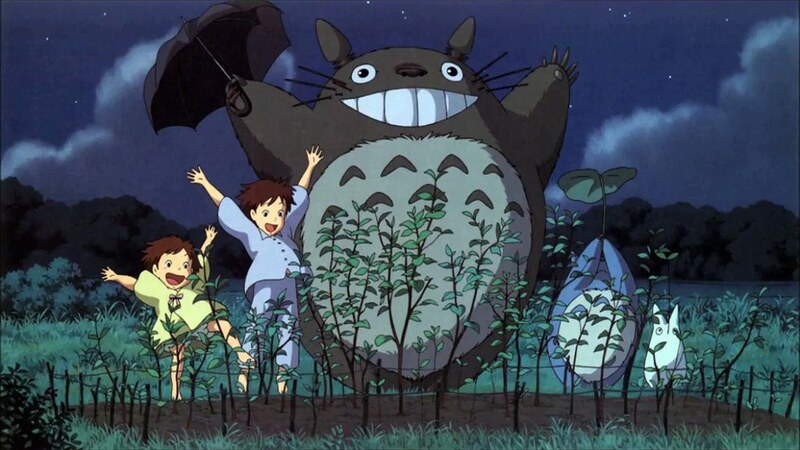 Another good example would be My Neighbor Totoro (1988), where there isn’t explicitly a villain at all. The central conflict is between the two sisters and their anxiety over moving and their mother getting better. The story focuses on the dynamic of the sisters and the adventures they have together, and there isn’t a real villain in the story. This serves to Miyazaki’s beliefs and creates a way to make fascinating, complex characters that are three-dimensional. In Miyazaki’s daily life, pacifism is a belief and practice that influences him. As a small child, Miyazaki experienced firebombing as a child in during World War Two. His experiences of war left a lasting impression and he continuously speaks out against the violence. When Miyazaki won the Oscar for Spirited Away in 2003, he refused to go to the ceremony because of his disapproval of America invading Iraq; Miyazaki didn’t come back to America until 2009. He still speaks out against political policies that he believes harms pacifism and diplomacy. Hayao Miyazaki has continuously kept a consistent message throughout his films; there’s always multiple sides to a story, there's always a path out of conflict that doesn't involve violence, and we have to cherish and appreciate nature instead of ruining it. A reason Miyazaki’s films will continue to be beloved is that these lessons are only a small piece to his movies; it’s just a stepping stone that enriches the bigger picture. So many of his films have this quality to them that makes them a wonder to watch; whether it’s the hand-drawn animation, the story, the characters, or the charm the entity of the film holds, there’s always something to enjoy and appreciate about every film that Miyazaki created. He may have retired, but his films will remain important, relevant, and valued by fans for generations.